So often you’re wondering what vegetables to make for your new eater. What will they love? What’s easiest to make? What do babies love eating as their first purees? My answer for this is always the same. Pick vegetables that are at the peak of perfection and in season. As we dip into July you can look in the garden and see yellow squash in abundance. They’re going to be bright yellow, so sweet and incredibly easy to steam and puree up until nice and creamy for babies to slurp up. I never expected to be making baby food 9 years after I started making purees for Kenya when I launched Weelicious, but here I am back in the game and honestly loving every minute. It’s so much fun whipping up Gemma new baby food purees in my new Baby Brezza which has honestly been a game changer (talk about easy to use and clean). 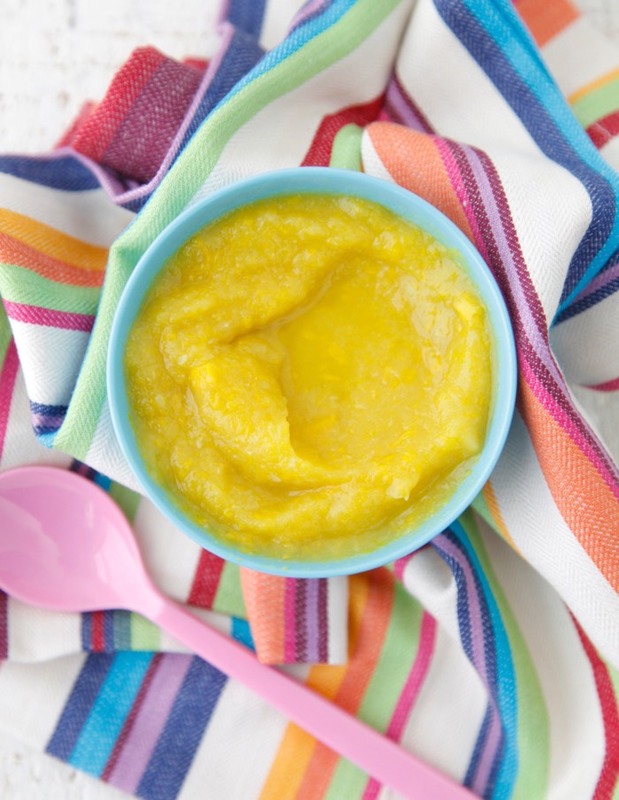 For this Yellow Squash Baby Food I just chop everything up, put it in to steam, puree, cool to room temperature and serve! Watching Gemma’s little face taste and try it makes me crazily happy. 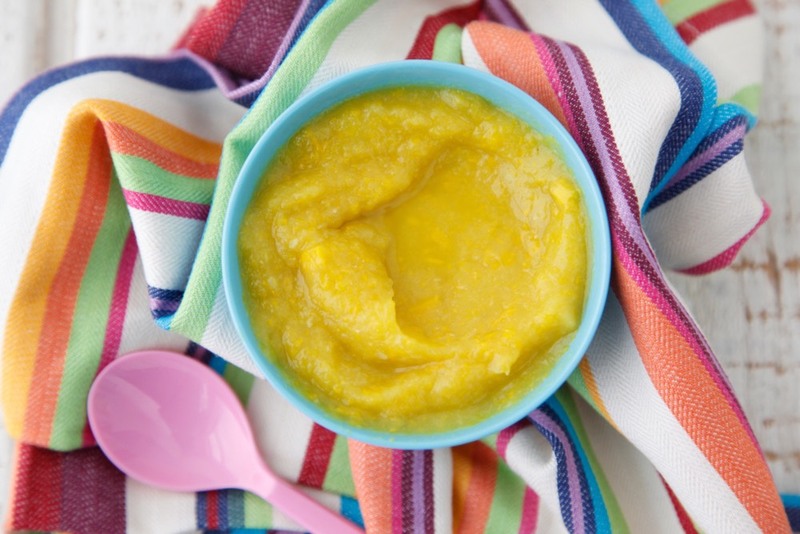 If you’re looking for other fun yellow squash recipes for your baby you should try Lemon Chicken and Vegetables or Yellow Squash and Carrot Puree, Vegetable Confetti for your toddler or my personal favorite Simple Sautéed Summer Squash that I’ve been eating since I was a kid. I even make this for Gemma who’s 10 months old, mashed it up and she loved it! Enjoy the vegetables of summer like yellow squash and watch your baby smile from ear to ear! 1. Place the squash in a steamer pot over boiling water and steam for 3 minutes, until the squash is fork tender. 2. Transfer to a food processor and blend until smooth, adding the liquid from the steamer pot 1 tablespoon at a time until desired consistency is reached.